Santa Cruz Megatower - Big Wheels Making Enduro Great Again? 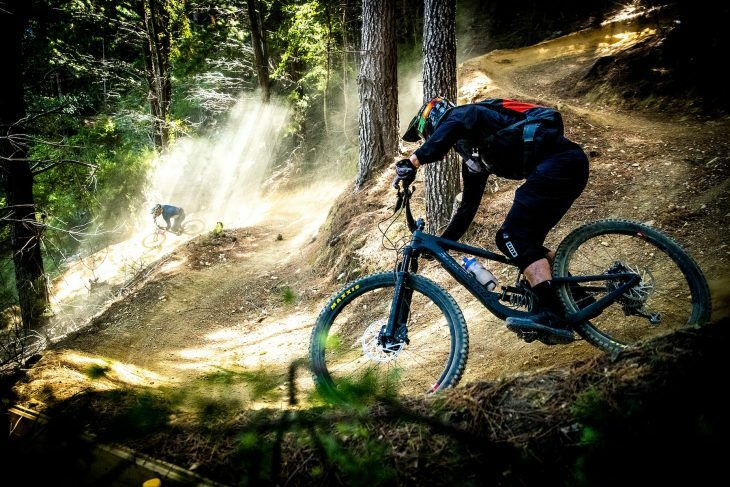 Well a long-travel 29er is THE bike that everyone has been expecting from Santa Cruz Bicycles. But did anyone expect it to be called the ‘Megatower’? Too bad if you didn’t (and bonus points if you did!) because that’s the name of Santa Cruz’ brand new, 160mm travel, full suspension bike 29er enduro shredding beast; the Megatower! 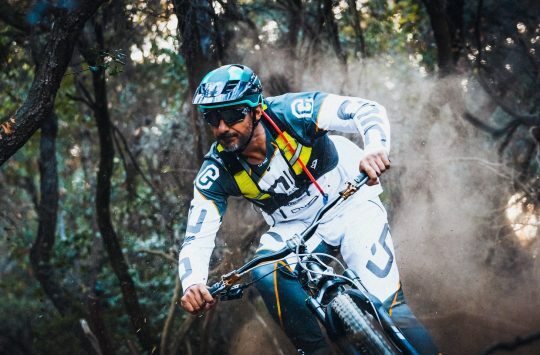 Up until today, the longest travel 29er mountain bike from Santa Cruz was the 150mm Hightower LT – a bike that was launched just shy of two years ago. The Hightower LT wasn’t entirely a new bike though. Its mainframe was actually shared with the regular 135mm travel Hightower. 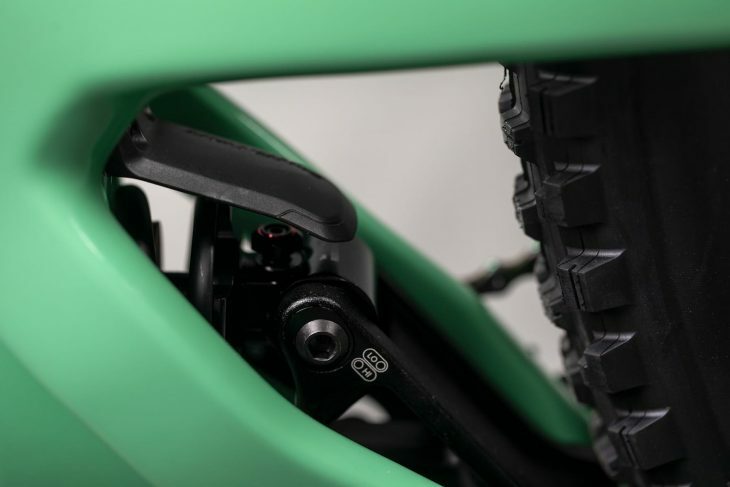 A different swingarm, VPP links and a longer stroke shock helped to eke out the additional travel as per the demands of EWS racers who wanted a capable big wheeler for competition use. While the Hightower LT has been doing its thing over the last couple of years, Santa Cruz has been busy revamping its 27.5in-wheeled bikes. 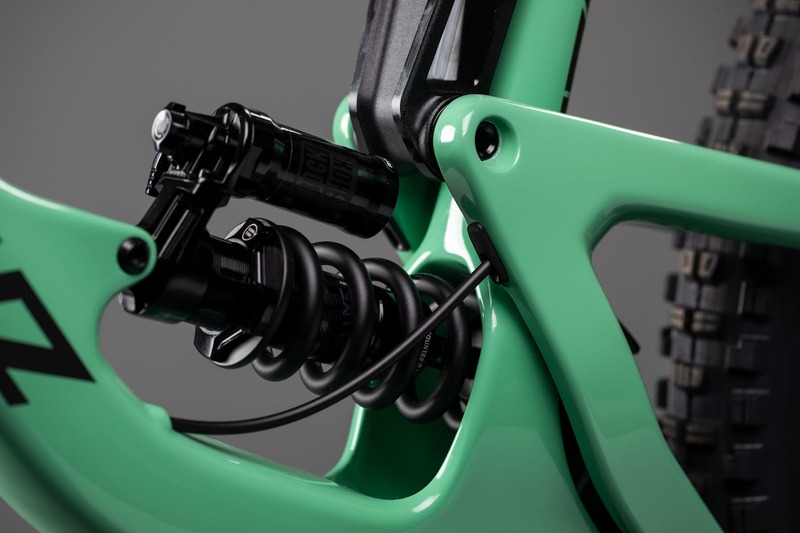 That includes the latest 170mm travel Nomad and 150mm travel Bronson – both bikes that now feature the gravity-oriented VPP linkage, which positions the shock lower in the frame, where it’s driven by the lower VPP link, rather than the upper VPP link. The shock is driven by the lower shock mount, just like the V-10, Nomad and Bronson. This change in orientation purportedly improves small-bump sensitivity, while boosting both mid-stroke and end-stroke support – good things for a bike that’s meant to be blasted down ugly, technical singletrack as fast as possible. 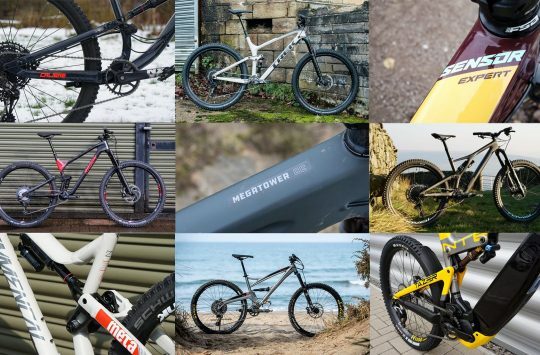 While the new Nomads and Bronsons have been doing very well for themselves, a lot of riders and enduro racers out there were still asking the question; when will we see a 29er version? Well, that question is answered today by this absolute brute of a bike. The Megatower is Santa Cruz’ new 160mm travel 29er enduro racer. 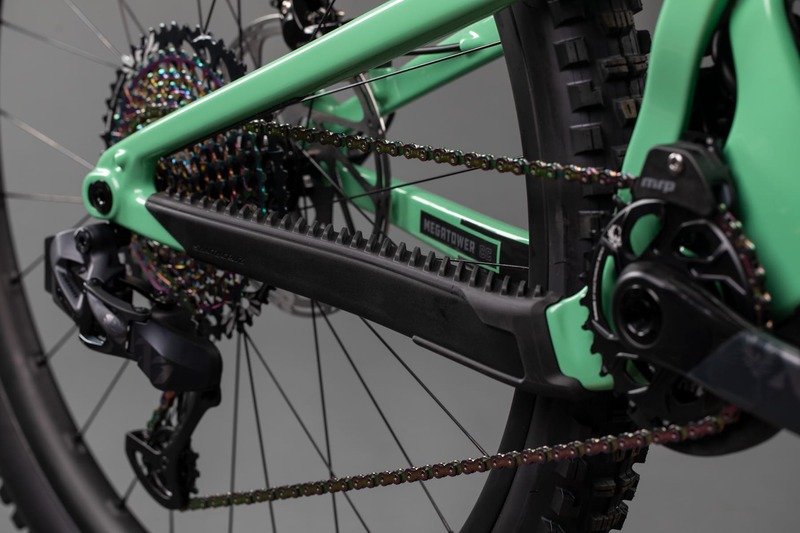 Based upon the new-school VPP linkage design that we’ve seen trickle down from the V-10 into the latest Nomad and Bronson, the Megatower is pitched as a full-blown EWS machine. It comes with a burly looking full carbon fibre frameset, with both C & CC options available. 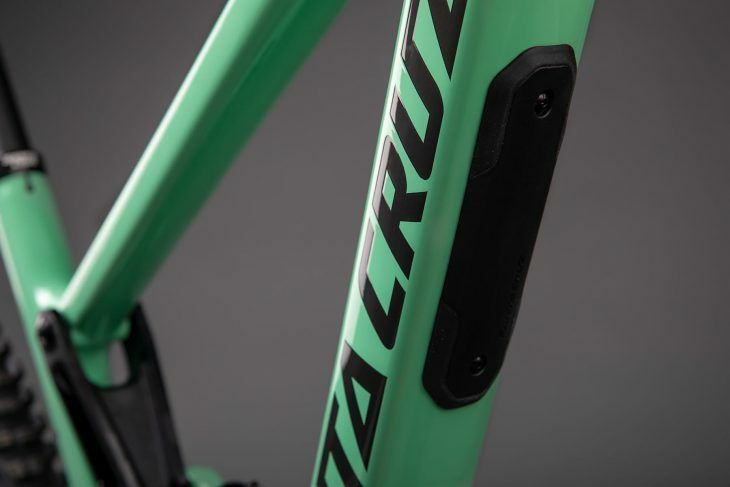 However, Santa Cruz won’t be producing an alloy version. 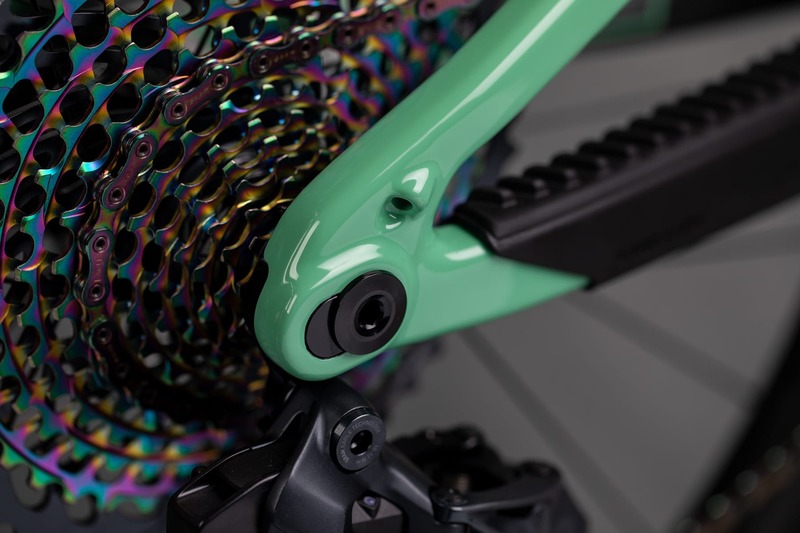 You’ll find on-trend, descending-centric geometry, as well as adjustable chips in the rear shock mount and at the dropouts for altering BB height and chainstay length respectively. Want more adjustability? You can also fit a 160mm or 170mm travel fork up front for tweaking the ride height even further. There’s a flip chip at the lower shock mount with Hi/Lo geometry settings. There’s 10mm of adjustment for the chainstay length. 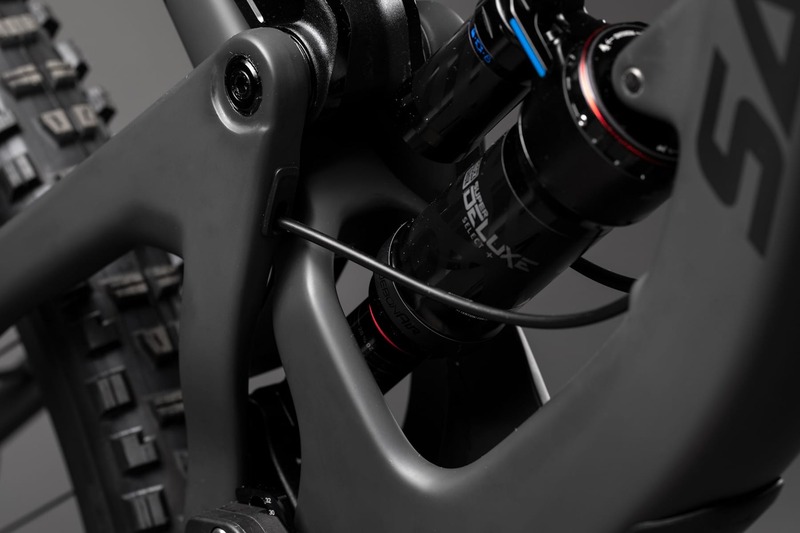 Providing plenty of scope for adjusting the bike to a rider’s terrain and personal preferences, you’ll find a Hi/Lo geometry chip in the lower shock mount that not only lifts or drops the BB height by 3.5mm, but also changes the head and seat angles by 0.3°. Throw the longer 170mm fork on there though, and the angles kick back even further. Then there’s the offset dropout design, which we first saw on the new V-10 downhill race bike. 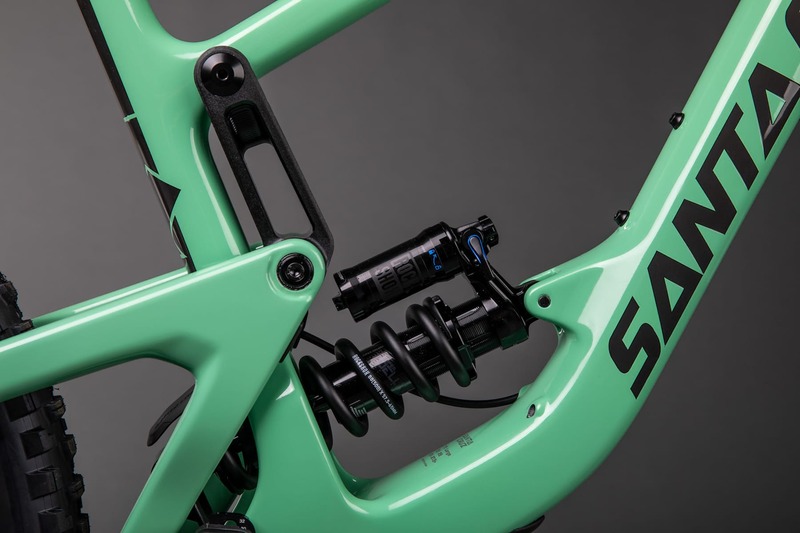 This comprises an alloy chip on each side of the dropouts, which can be flipped to change the chainstay length by 10mm – something that Santa Cruz states is particularly important for taller riders. Other features on the new Megatower frame include guided internal cable routing, bolt-on downtube belly armour, and heavily finned chainstay armouring that has also been brought over from the new V-10. Internal cable routing through the downtube and swingarm. Bolt-on belly armour is there to protect the frame when tailgate shuttling. Santa Cruz will be offering the Megatower in a frame-only option based around the higher-end CC frame, along with numerous build kit options starting from the entry-level £4,499 Megatower C R build, and going all the way up to the £9,399 Megatower CC XX1 AXS Reserve build, complete with wireless shifting and carbon fibre everything. Phew! 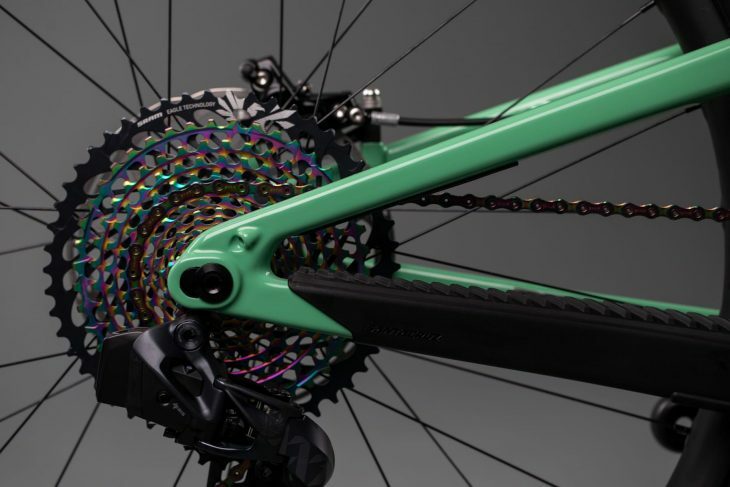 The top-end Megatower build comes with SRAM’s new wireless electronic AXS drivetrain. Look at it shine! 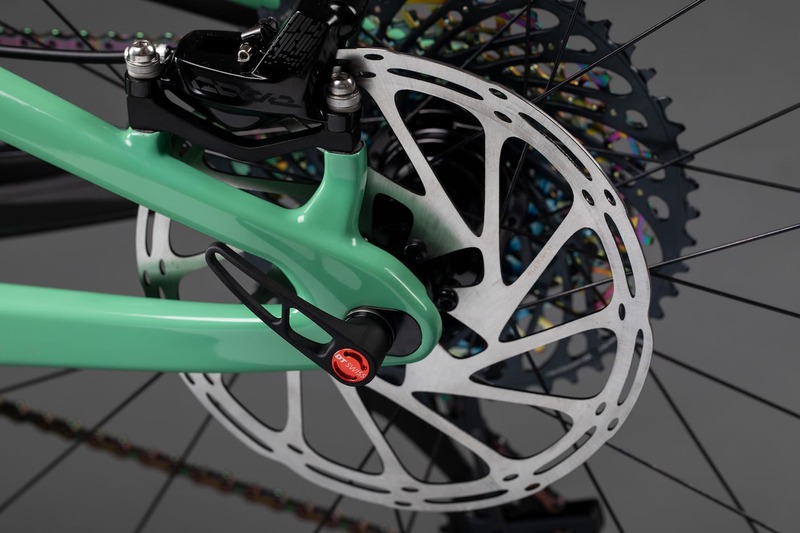 Expect powerful 4-piston brakes on ever build, complete with 200mm rotors. The Megatower is compatible with high-volume air shocks, and coil shocks too. 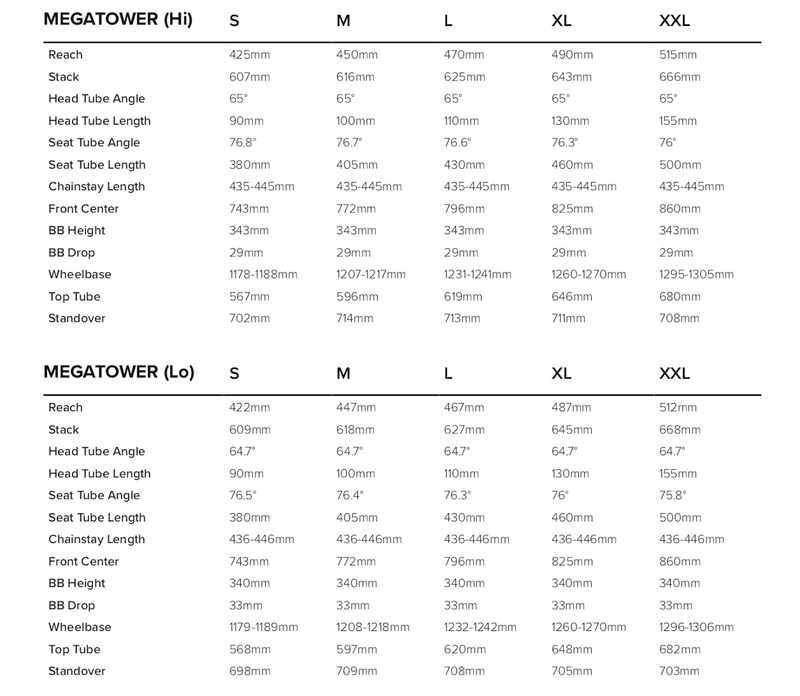 All Megatower builds will come with a 160mm Fox or RockShox fork. You can go up to 170mm if you like though. 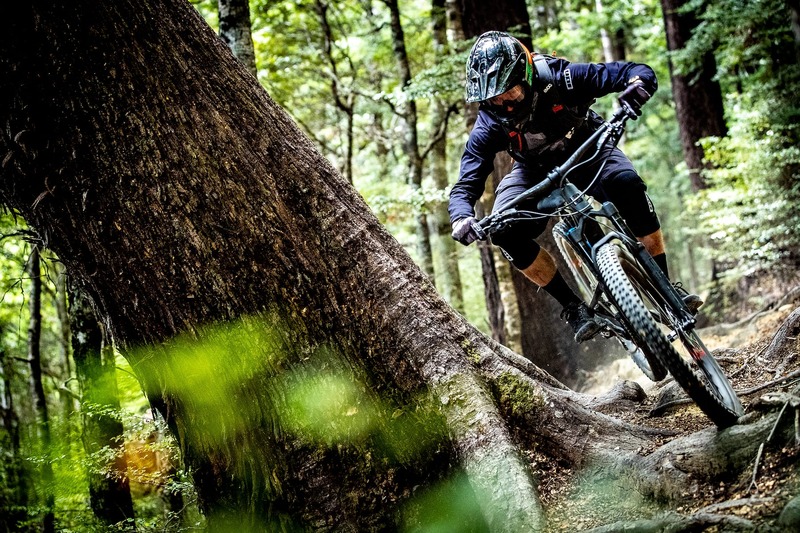 And there you have it – the new long travel 29er from Santa Cruz! We’d love to know what you folks think of the name, and also what you think of the bike. Is this the big wheeler you’ve been waiting for? Or are you still on Team Nomad/Bronson? Let us know your thoughts in the comments section below. 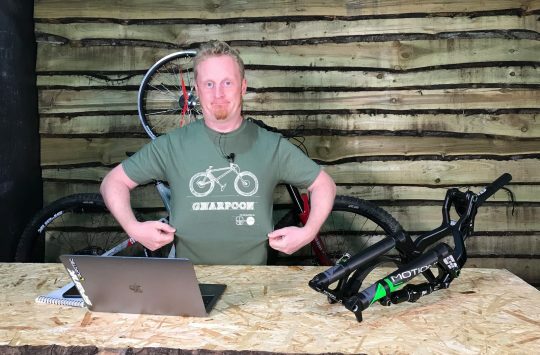 For more information, head to the Santa Cruz Bicycles website, and to find out how it rides, make sure you check out our first ride review right here. That was one of the best ‘highlights’ videos yet. Not too long and told me exactly what was interesting about the design. Good work! De rigueur shred sled for round the back of Nationwide in Swindon. I mean it gorgeous isn’t it. They usually are. There have been pics in the web for a while now, as well as the name, which is fantastic. Its the bike alot of people have been waiting for, so hopefully my riding buddy will get one and sell it to me around this time next year. Just hope he gets it in less ‘dateable’ black. @AlexSimon – Thank you very much mate, and glad you liked it! @whatyadoinsucka – No sign of a new Tallboy. Given the current overlap between the Blur TR & Tallboy though, I suspect a new model can’t be that far away. 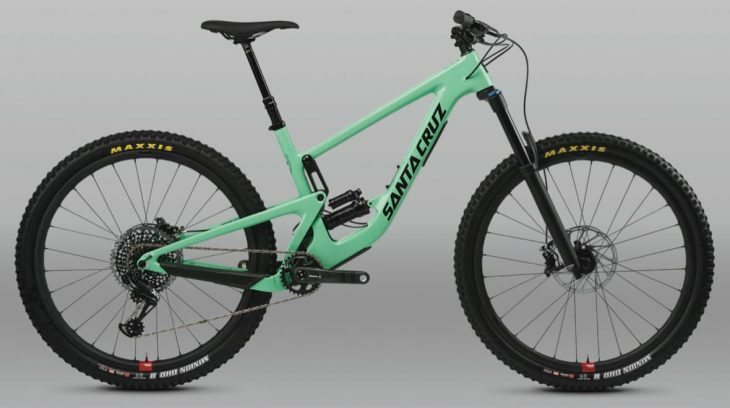 When that happens, I guess we’ll see what Santa Cruz is going to do with the current Hightower & Hightower LT – perhaps they’ll amalgamate them into the one new model? That said, Santa Cruz says that it will continue to produce the Hightower LT even with the new Megatower in the range, so who knows what they’re planning!